We had a rough start to the school year so sewing time has been limited lately. 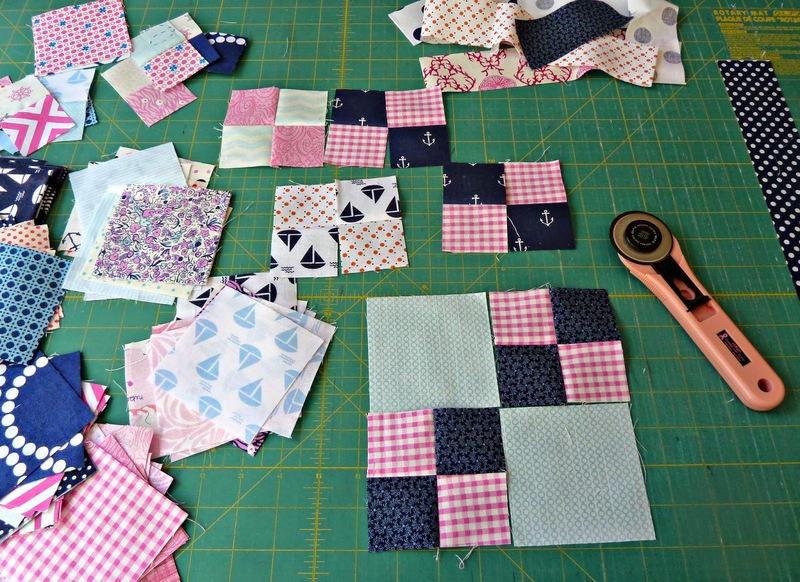 These Out to Sea Penny Square blocks were a sanity saver! They whip up quickly and it's fun putting together different color combinations. They're outgrowing my design wall but it'll shrink once I start sewing everything together. Only 4 more penny squares to make and I'll be ready to start laying them out and sewing them all together. Can't wait!!! That quilt is going to be gorgeous! I love out to sea and the way you have put it together is great! I've made an Out to Sea penny patch too! Yours looks great! It's a fun pattern! So cute. Love your fussy cuts! I agree, I love the mix of these patchworky pieces with the fussy cuts - and the fussy cuts are so fantastic, especially the sail boats. And now I am definitely going twin when the time comes! 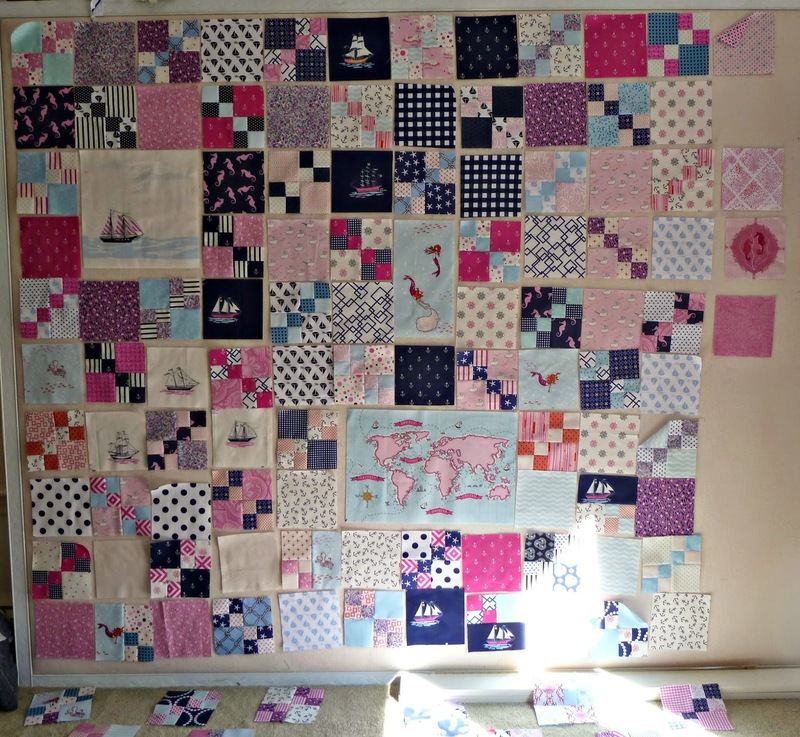 OhMyGossh -- I LOVE how you've used the Sarah Jane fabrics! I have a lot of them, but not that ship -- darn it -- it, with the map make your sweet little quilt. Too, tooooo cute!!! !